For ten days each July, the Fine Art studios and workshops of Nottingham Trent University are transformed into The Summer Lodge and play host to a gathering of thirty diverse artists. It is intended as an opportunity to think through making by being able to work for a while without many of the usual constraints and distractions. It is a collective space in which to undertake experiments, pursue new ideas and allow unexpected leaps of imagination. This group, comprising current NTU tenured and hourly paid staff, artists working in the city of Nottingham and beyond, both nationally and internationally plus student studio assistants, will initiate new dialogues and critical exchange through engaging together in a period of sustained studio/workshop practice. This year we celebrate our 5 year anniversary. 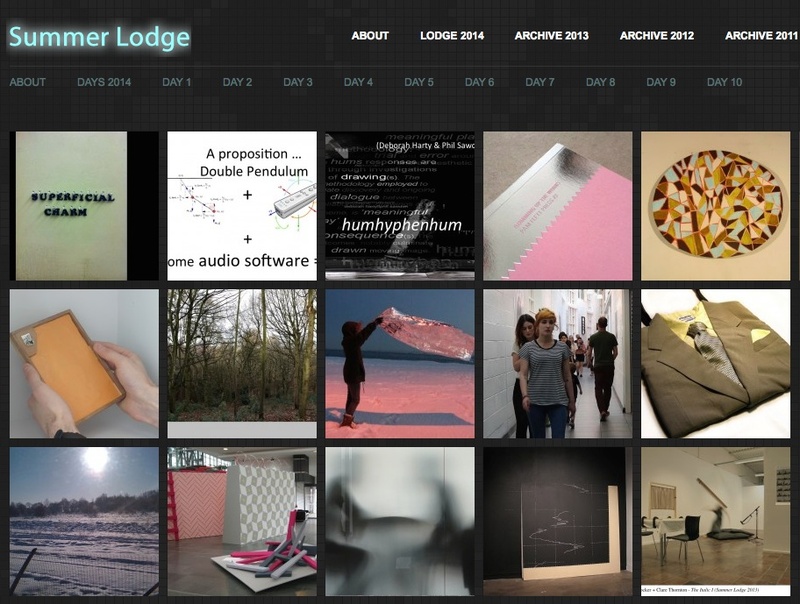 Documentation of previous Summer Lodges and activities during our celebration year are available here under the ‘Archive’ links at the top of the page and, for 2014, using the ‘Day’ links. The Summer Lodge was founded by Danica Maier who co-ordinates and chairs the steering committee made up of: Andrew Brown, Emma Cocker, Joanne Lee and Andrew Pepper.